In 2014/15, a number of early career researchers at the University of Leeds worked together to run a skills development project focused on public engagement, funded by the university’s LEAP Skills Hub. The project kicked off with two workshops for PhD students and early career researchers. The workshops were followed by a pilot public engagement activity involving researchers from four schools within the university. 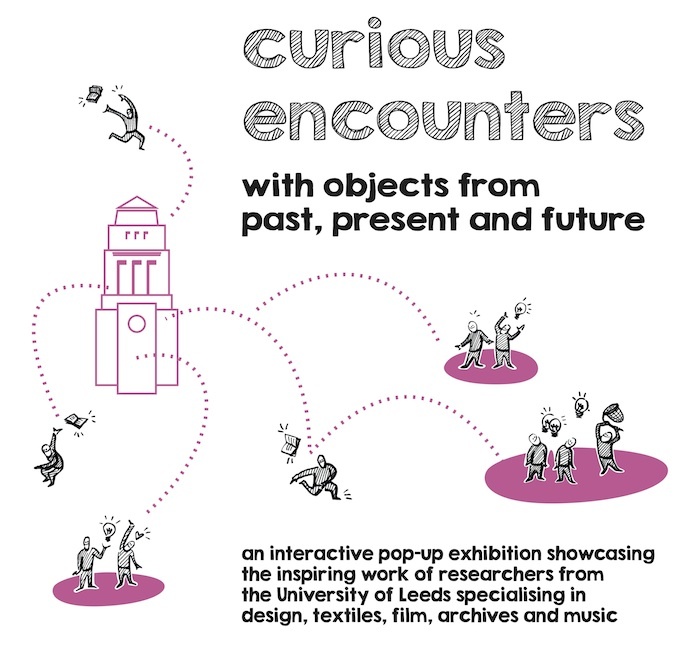 Together, we developed the concept for Curious Encounters, an interactive pop-up exhibition through which we showcased our research and connected with people outside the university. The event took place at the Stanley & Audrey Burton Gallery in February 2015.